Lots of great stuff at the bottom of this post! New Dietbet blogger group and fun book swap! Read On! And I did A LOT of laughing reading my most recent book! I am part of an online book club organized by Ashley, blogger of Chevron Stitches. THE MINDY PROJECT is a biting new single-camera comedy from Emmy Award-nominated writer/producer and New York Times best-selling author Mindy Kaling ("The Office") that follows a woman who, despite having a successful career, is unlucky in love and desperately needs to get her personal life back on track before her friends and colleagues are forced to stage an intervention. Funny, impatient and politically incorrect, MINDY LAHIRI (Kaling) can quote every romantic comedy starring Meg Ryan that exists. She loves the good ones and the bad ones, because the girl always gets the guy. Mindy is determined to be more punctual, spend less money, lose weight and read more books - all in pursuit of becoming a well-rounded perfect woman...who can meet and date the perfect guy. 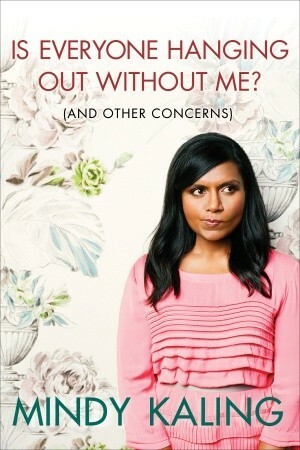 So, back to the book, it's basically Mindy's autobiography, but incredibly witty and funny. She talks about her concerns, her family, her life growing up, her "Office" experience, etc. I love it because it didn't feel like I was reading a book; it felt like I was sitting with Mindy, having a conversation, and having her just tell me about her life. - We both struggle with our weight. i have ALWAYS had a problem losing weight, since puberty (and before). It was great to see someone else who struggles with it too. - this sounds really funny, but we both have big heads! mindy even pointed hers out in her book, and I was like, YES! I HAVE THIS ISSUE TOO! hahahaha. - We both have some amazing best friends. One of my favorite parts of the book was when she talked about how she lived with her two best friends when she lived in New York City after college. Though i've never lived with my best friends, it was fun to see how she related with them. - We both have no athletic ability whatsoever. 'Nuff said. - Everyone is stressed out. She discussed how telling people how stressed you are, or why you're stressed is not a legitimate topic of conversation. Everybody is stressed- we don't have to tell each other that we are! - "I want a guy who is entrenched in his own life. Entrenched is awesome." Another favorite section of this book was when she talked about boys versus men, and that she has come to a point in her life where she is looking for a guy who is rooted. Also, a super funny part before this was that she listed about 10 things that men should be. I thought this was somewhat ironic, because what guy would really read this book, let alone get through over half of it! But, I loved it because it was a great list of what to look for in a guy! Anyways, great knowledge! -"In real life, shouldn't a wedding be an awesome party you throw with your great pal, in the presence of a bunch of your other friends? A great day, for sure, but not the beginning and certainly not the end of your friendship with a person you can't wait to talk about gardening with for the next 40 years." I love this quote- because so many times we think the wedding is the main event, but the wedding is just the jumping off point! - "One friend with whom you have a lot of common is better than three with whom you struggle to find things to talk about." Amen to that! A couple of REAL relationships are better than lots of surface-level ones. I love how Mindy is so real in this book, and so hilarious. She really describes her life with great detail, and it makes it so fun to read! She is one of the celebs that I actually look up to, because not only is she funny, and fun, etc. but she is authentic, and knows how much to share about her life, and what not to. She is my favorite comedienne and I loved her book! I give it 5 out of 5 stars! Now for some fun! The first thing I want to bring to your attention is that Bre from Peacoats and Plaid started a new Dietbet for bloggers! If you haven't heard about Dietbet, watch the video on the website! It's pretty awesome! Basically, you join a group of people who want to lose weight, and you do so together. You put a certain amount of money in the pot ( for this one its $25), and all you have to do to get it back plus some is to lose 4% of your body weight in 4 weeks! So this one is going for the month of May, and we would LOVE for you to join! Everyone needs some motivation to get swimsuit and summer ready, right?! click the button to join our group! 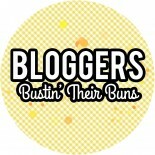 The other thing I wanted to share is a new blog swap happening in the blogger world, by one of my friends, Kimberly! here's a great video she's created for the swap! If you're a booklover like me, you should definitely sign up! Click the button above to head over to her blog and sign up!! Thanks for stickin with me through this loooong post! Have a WONDERFUL weekend, and stop back in tomorrow to read my recap of the week! MY APRIL FAVORITES GIVEAWAY ENDS SUNDAY! GO ENTER NOW! LOW ENTRIES!